Berlin is one of the most exciting cities in the world, with its vibrant cultural and creative heart feeding one of the fastest-growing start-up sectors in Europe. Expats from all over the world are flocking to the city, enticed by Berlin’s numerous green spaces, laid-back lifestyle and cheap cost of living, to fill the growing opportunities being created by the host of international start-ups that now call Berlin home. With rental rates in London up to four times as expensive as those in Berlin, more and more British entrepreneurs and executives are exploring Berlin as an alternative location in which to base their business. Despite its appeal, moving to Berlin isn’t necessarily easy. The paperwork needed to set up in the city can be daunting. Finding a property can also be fraught with problems. For example, in Berlin, ‘unfurnished’ usually means the property won’t even come with a kitchen, curtains, carpets or light fixtures. These pitfalls, however, aren’t insurmountable. Move to Berlin is committed to making relocating to the city as seamless and stress-free as possible, providing practical advice, support and help wherever it is required. Alisa Murphy, CEO of Life Size Media, found the often-baffling bureaucracy hard to make sense of when she decided to expand her British company by opening an office in Berlin. Murphy, whose company serves the cleantech market, said: “German bureaucracy can be a shock to the system if you’re not used to it. For example, in the UK most things are handled digitally. In Germany, original hard copies of all paperwork are almost always required. “Some friends of mine who had moved to Berlin told me about a woman they called their ‘angel’,” Murphy continued. “She had helped them buy an apartment and set up their lives in Berlin. That angel was Christine Gerkrath and her Move to Berlin team. She helped clarify the whole process for me and supported me through to completion. “It made all the difference having someone who could answer my questions and make arrangements for me, particularly as I was managing the process while based in London. That’s why my number one piece of advice to anyone setting up a business in Germany is to find someone who understands the process and can guide you through it. 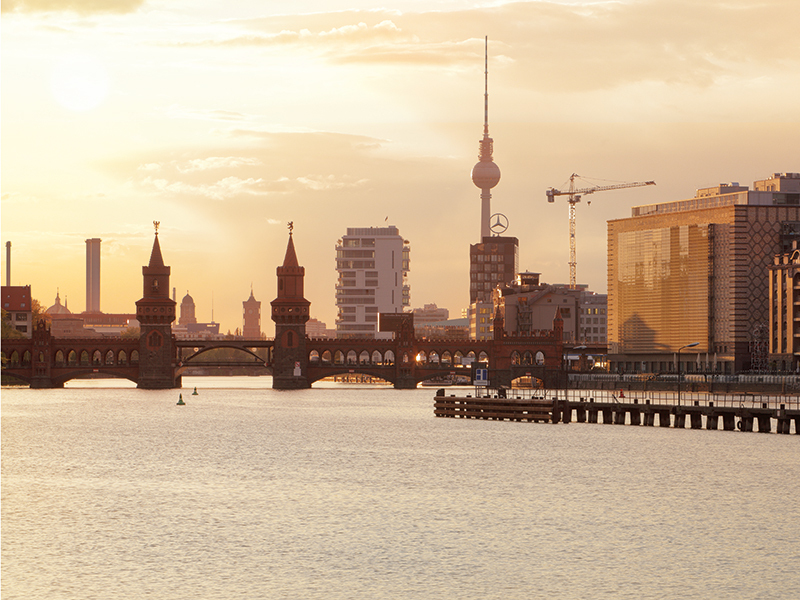 Move to Berlin handles a range of clients, from those who want to invest in an attractive real estate market, move privately or open a business, taking the stress out of what should, after all, be an exciting life event.